Home → Nutrition → 10 resources when considering a plant-based diet. Our genes may predispose us to diseases, but having a family history of a disease doesn’t mean we are destined to get it. Check out the following list of health issues. Do you suffer from any of them? Are they part of your family history? If you answered yes to either of those questions then you should consider a whole-food plant-based diet. Using food as a tool to improve your health is not a new trend. Hippocrates taught that lesson in 431BC when he said: “Let food be thy medicine and medicine be thy food.” Never underestimate the Power of the Fork! So you don’t want to be vegan. Great! 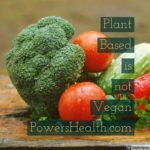 You can be Plant-Based or Plant-Strong! Many people confuse a Whole-Food Plant-Based Diet with a Vegan Diet. They are not the same, although some vegans do follow a WFPB diet. Those are healthy vegans. Many vegans choose the lifestyle for the sake of the animals. They avoid all animal products including honey and clothing. But when it comes to food, their choices may not always be healthy. They may actually eat lots of unhealthy foods like white flour, soda, candy and any number of highly processed foods. A person who follows a WFPB diet avoids overly processed foods and focuses on plants and whole foods. That includes vegetables, fruit, whole grains, legumes, nuts and seeds and natural sweeteners like honey. WFPB is a healthy vegan diet as opposed to an unhealthy one. The resources mentioned here will be referring to a healthy vegan diet. If you want nutrition information, don’t ask your doctor. If you want information on nutrition as it relates to your health, hit the books or the internet. Don’t bother asking your doctor. The majority of doctors never take a nutrition class because medical schools don’t require them. Doctors interested in nutrition must take courses on their own and many don’t have the time or interest. But that doesn’t mean doctors with a passion for nutrition and disease prevention don’t exist. They do. It’s your responsibility to be proactive and seek them out. And once you find one, chances are that doctor promotes a Whole-Food Plant-Based diet. I’ve studied nutrition for more than 10 years. There is so much information out there that people find it overwhelming, and confusing. 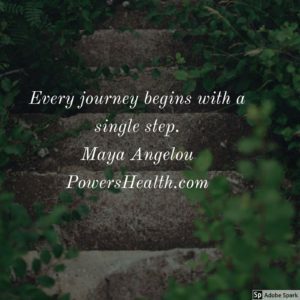 So I’ve picked out 5 resources that I think give you the best information if you care about using the Power of the Fork to improve your health. Start by watching the documentary Forks Over Knives available on Netflix or online. It highlights the work of Dr. Caldwell Esselstyn and T. Colin Campbell Phd. The focus of the film deals with Heart Disease, Cancer and Diabetes. It documents the research done in The China Study by T. Colin Campbell and presents personal stories of patients dealing with these diseases. 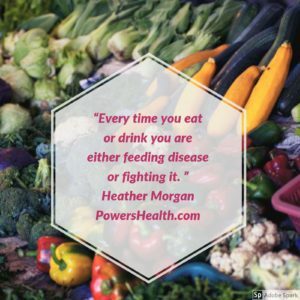 By removing all animal protein from their diet and avoiding highly processed foods the patients find they can treat and reverse their diseases and remove or reduce other ailments. This documentary is what started me on my path to a WFPB lifestyle and it’s the first one I always recommend as a nutrition coach. This free pdf file is a wealth of information for anyone wanting to work with food in preventing the onset or recurrence of cancer. 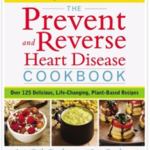 Dr. Esselstyn is the author of the book “How to Prevent and Reverse Heart Disease” and its companion cookbook. Dr. Esselstyn is a cardiologist and a lecturer who works with his wife Ann and his daughter Jane, a nurse, to educate people about the health benefits of a WFPB diet. Check out his website and Face Book page. 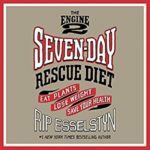 Rip Esselstyn, author of “The Engine 2 Diet” and “Plant-Strong”, is a plant-based triathlete, and son of Dr. Esselstyn. Rip travels the world and like the other members of his family, he works at educating others on how to become plant-strong. You can find him on Facebook at Engine 2 For Life and The Engine 2 Seven-Day Challenge Rescue Group. Dr. Greger is the creator of NutritionFacts.org where he sifts through the latest research so you don’t have to and he explains its relevance to us with respect to food and its link to overall health. Once you’ve checked out the information above, why not give a Whole-Food Plant-Based Lifestyle a try? To get started, I would recommend you sign up for one of the following free programs. This program is done online via email with info, tips, and recipes. This program is also done online via email and a closed FB group where members share lots of support, feedback, recipes and tips. Give it a shot! You don’t have anything to lose but weight, pain, and disease-causing inflammation. Your body will thank you for it.